The District of Columbia was one of the first cities to implement a one-way carshare parking strategy and also include an equity component in terms of serving all neighborhoods. Enacted in December 2011, was a rulemaking which established a new point-to-point, or one-way, carsharing program. The program allows vehicles to park in any available spot on city streets in residential permit zones and at meters. 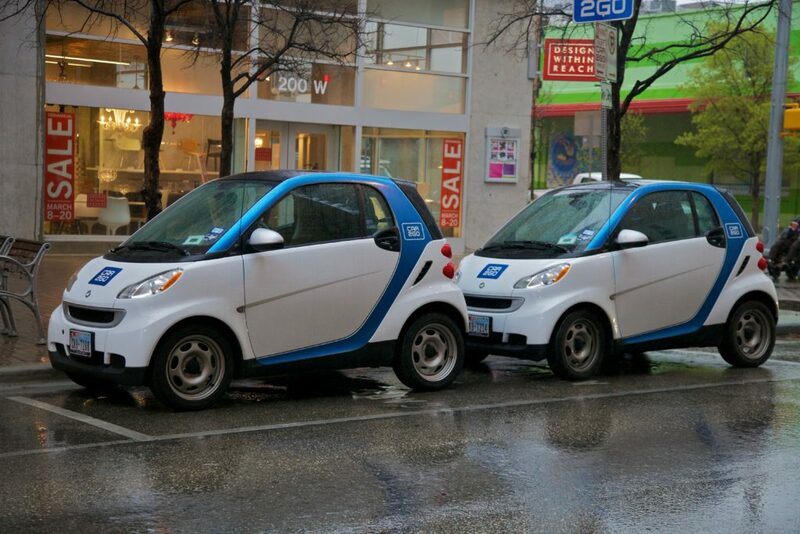 car2go used this program to launch its service in Washington, DC with 200 cars in 2012 and expand to 500 vehicles by 2015. The ordinance also has an equity component as it requires that a certain percentage of vehicles service low-income neighborhoods as specified by DDOT. The point-to-point permit is evaluated annually and in order to have district wide parking at no charge at the time of parking the operator pays an annual fee (at the time of this writing it was $2,980 per vehicle) for this access. This same fee is also charged to two-way carshare operators. This point-to-point car-sharing program will expand transportation options for the residents, visitors and commuters of the District of Columbia, maintain and enhance mobility and access to jobs, housing, education, shopping and recreation, and improve access to car-sharing vehicles (Excerpt sourced from ordinance).